Measuring the hydrogen content in the gas exiting the reactor and quench tower is widely recognized as the primary way to ensure stable operation of the tail gas treating process. A second measurement location after the absorber is typically used to monitor the amine treatment section. 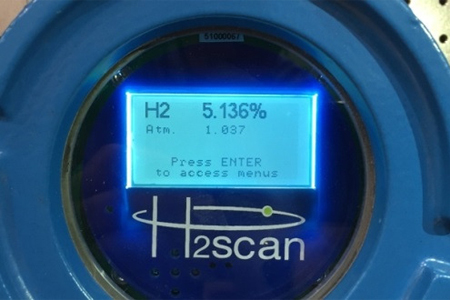 The sample stream usually consists of approximately 3% H2 and 1 – 3% H2S, with ~10% CO2, ~10% water vapor, and the balance consisting of N2 plus various hydrocarbons and other compounds.